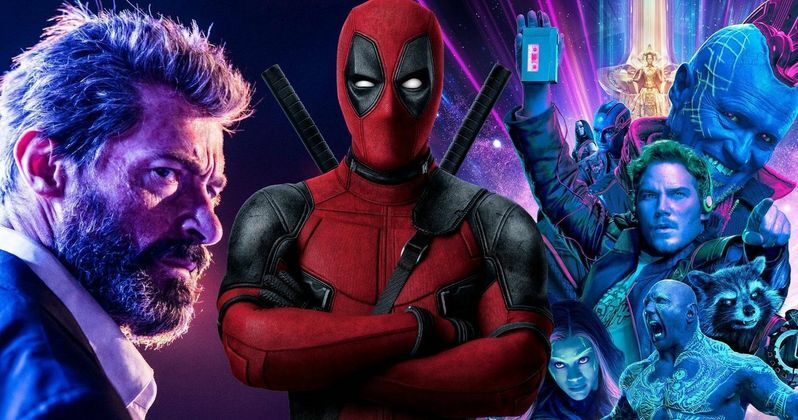 Disney and Fox Close in on Deal, Will X-Men Join the MCU Next Week? Are we about to see Fantastic Four and X-Men join the Marvel Movie universe? One of the biggest Hollywood shake-ups in history is drawing near. A few weeks ago, it was revealed that 21st Century Fox is looking to sell off most of its assets, including their movie studio, 20th Century Fox, and TV assets. Disney has been the frontrunner from the very beginning and now, a new report claims that the Mouse House is very close to closing the deal, which could be announced as soon as next week. Here's what the new report had to say about it. "Disney and 21 Century Fox are closing in on a deal, and it could come as soon as next week, according to sources familiar with the matter." Other companies are in contention to purchase Fox's assets, or at least were in contention. Fox was also talking with Comcast and Sony was said to be in the running for the purchase, but the Disney talks "have progressed more significantly," according to this new report. The deal would include Nat Geo, Star, the company's regional sports networks, movie studios and their shares of Sky and Hulu. Fox would keep its news and business news divisions, their broadcast network and Fox Sports. But the rest would go to Disney. This deal would be massive, as one of the major studios in Hollywood would essentially dissolve, or at least become an arm of another major studio. Disney is the biggest of the big, as they already own their massive library of legacy titles, Marvel and Lucasfilm. If they get Fox's assets, they'll be truly untouchable. Marvel fans are particularly interested in the potential purchase, as it means that Disney would finally be in control of the X-Men and the Fantastic Four again. While Marvel fans are excited about the possibility of seeing Wolverine and Cyclops team up with The Avengers at some point, there are many other implications to a deal this big. For one, Disney is launching their own streaming service next year and this would provide them with a massive library of content for the service. But there's also all of the other franchises under Fox's control, like Planet of the Apes and Alien, just to name a couple. What fate will such franchises suffer under the Disney umbrella? This may well be a situation where consumers have to take the good with the bad. It's possible Disney could keep 20th Century Fox as its own studio under the Disney umbrella and allow them to continue making movies, but that's speculative at this point. The other huge part of this new report from CNBC is that it estimates the Fox assets in the Disney deal at more than $60 billion. Yes, billion. With a big B. The other thing worth noting is that shares of Twenty-First Century Fox went up Tuesday, while shares of Disney fell 2.7 percent Tuesday. This deal will surely have a huge effect on stocks, if it is indeed announced next week.